No time to read the article? One of the main criteria when choosing a country for immigration is the quality of life. This is the ratio of income and cost of living, safety, medical care and education. Every year, Global Finance experts rank the safest countries in the world. The ranking takes into account the level of threat to the lives of citizens (the presence of military conflicts or the risk of their occurrence, the likelihood of natural disasters) and the level of economic development of the country. In the ranking of the safest countries of the world in 2019, the highest positions are occupied mainly by European countries with a developed economy and health care system. The top five safest countries are Iceland, Switzerland, Finland, Portugal and Austria. 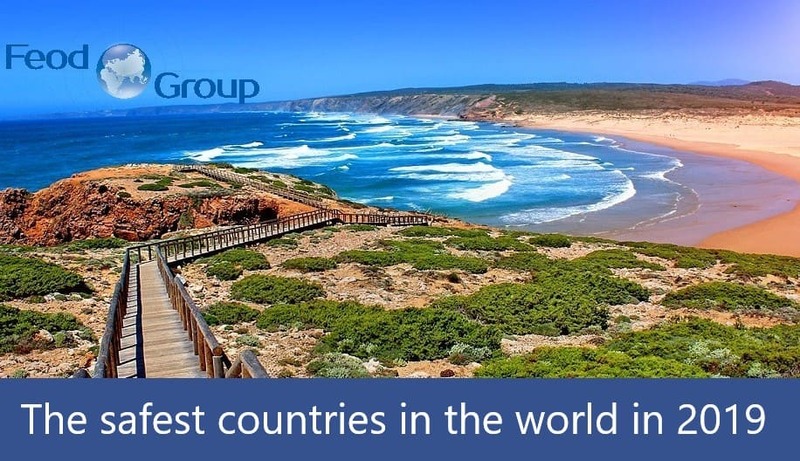 After reviewing the rating, taking into account the opinion of Global Finance experts, we want to focus your attention on the immigration possibilities of a country that is in the TOP-5 rating, namely Portugal. After all, Portugal, in contrast to many of the countries represented in the list, provides the possibility of obtaining a residence permit for the whole family without investment and buying real estate. Portuguese residence permit for financially independent foreigners – allows you to live in Portugal more than 90 days a year and is intended for applicants with independent work activities whose income per month is at least 580 euros per adult family member. For a family of two adults and a child the minimum amount of income for obtaining a residence permit in Portugal should be from 1334 € per month. In addition to the safety, Portugal is famous for its excellent education (including English schools) and a high level of health care (12th place in the World Health Organization ranking according to the World Health Report 2019). We would like to draw your attention to the fact that the company includes Portuguese lawyer Vasco Cardoso, who provides our clients with a full range of immigration services in Portugal. Since 1992, Feod Group has been providing a wide range of international legal and business services in many countries around the world. We will select for you an immigration program or citizenship for investment, we will carry out registration and will provide full support in your chosen country. For a detailed discussion of your situation and professional assistance in immigration planning – sign up for a meeting with the Directors of Feod Group. Confidentiality and the protection of your interests are the main principles of the work of the Feod Group.